Handmade Jane: One Week, One Pattern 2014!!! One Week, One Pattern 2014!!! Exciting announcement time!!! OWOP is BACK!!!!! If you haven't a clue what I'm on about, OWOP, (or to give it its full title: One Week, One Pattern) is a group challenge where participants wear garments made from just one pattern of their choice, every day for a week. The original One Week One Pattern challenge happened in 2012 and was the brainchild of Tilly and the Buttons. Now you may have noticed that Tilly has been just a teeny, tiny bit busy of late, so she’s graciously handed the baton over to ME! I loved OWOP the first time round and I’m thrilled to be running the show this year. The starting point of OWOP is the pattern. We all have special sewing patterns that just seem to work for us. It could be that they fit well, they’re flattering, they're easy to sew and wear, or in some cases ALL of these things! It’s precisely because they work so well for us that we sew them again and again. The idea behind OWOP is to celebrate these super-hero sewing patterns by dedicating a whole week to them. It’s also an opportunity to really think about your own individual look and stretch your styling skills with your handmade wardrobe. Think of the infinite mix and match possibilities on offer - how creative can you get styling multiple versions of the same garment? 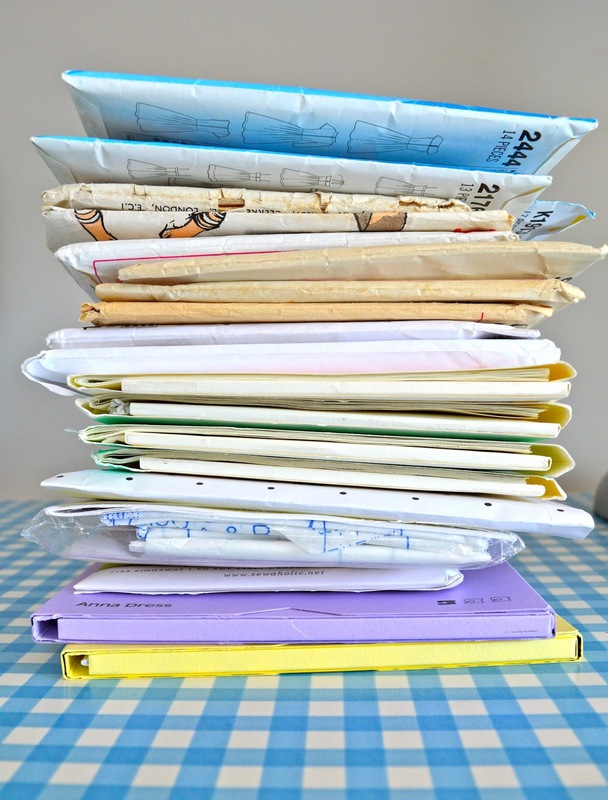 The number of versions of your pattern you choose to wear/sew is entirely up to you - anything goes! It will also be really interesting to discover which patterns people decide to showcase. oh i'm so excited! i was a newbie when this ran before but i'm so glad that we have a lot of time before it runs as i don't remake patterns very often! im glad we have so much time! oh now ill have to choose a pattern! I'm keen! Are a few repeats OK or do I have to have 7 different garments? Yay for OWOP! But will you be able to out-geek my pie charts?? I'll have to pick a different pattern for September though - lucky I love sewing repeats! Ooh fun! Will be my first time to take part - can't wait! I am so looking forward to this - do I choose Sorbettos or CoCos or self drafted skirt ? It is when you start repeating a pattern that your own creativity starts to take over, I feel. This is wonderful, the only problem is that my goto pattern is self-drafted but I think I have 5 or 6 including my wedding dress. I didn't take part last year, but I definitely will this year. I'm already well on the way to a wardrobe full of By Hand London Anna dresses and I'm sure I can fit in one or 2 more! This sounds like fun. And as it's September, I think that means it will be Coco time for me. I went to town and made five of them - the Coco is my champion pattern for banishing the jeans and t shirt mum uniform I'd been in and finding me something homemade, fun and practical to wear as a mum of little ones. I am so excited by this!! I love repeat patterns, the challenge will be choosing which one to go for! Can I join in? I haven't got a blog though, I am thinking about starting one, I have even named it (was very keen until my husband said nobody reads them). I already have a pattern I have a couple of versions of. I've just found following blogs in the past few weeks and I have so enjoyed yours. Would a 60 something Gran from the mid-west USA be welcome to join the challenge? Great! 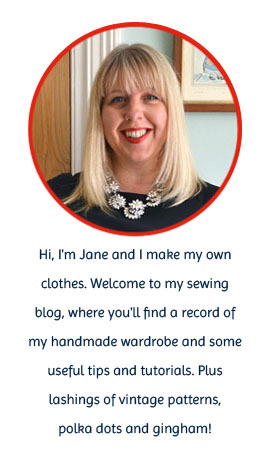 I don't have a blog but find it exciting finding young women interested in sewing. I will keep an eye open for a pattern to use and would appreciate suggestions, or is there somewhere I can look at from the last OWOP. Thanks for any help. I'm in! I'm a newbie sewist who has sewed 3 garments so far and 2 of them are the Sewaholic Renfrew top (love love love this pattern). I'm definitely wanting more of this top so this OWOP will be perfect, I can't wait! I repeat patterns a lot, but unfortunately, I don't usually have multiples on hand at any one time...I wear them out, lol. This will be a fun challenge, so I'm in! That's the easy decision. the huch harder one is: should I be going for tops or skirts? Ooooh yay, sounds fun. I definitely have one or two patterns in mind already! Count me in- now which pattern to choose?!?! This sounds great! I love how one pattern can be made to look so different each time, with a few tweeks! This will be my first OWOP too! Looking forward to it! Ok, made two Monetas so far, and working on a sweater version. Think this may be the OWOP pattern! oh - what an interesting idea, and a perfect excuse to sew more clothes! I've made the dress from Simplicity 1699 twice already - one time in a stretchy jersey fabric that was so successful and soo comfortable (and didn't need a zip cos it was stretchy) that I bought more of the same fabric in a different colourway. A girl can't have too many dresses, right? I'm thinking a dress with layers under and over, early autumnal style for september. I'm loving this idea! I totally missed it last year. Can't wait to start planning my sewing up until the start date! Thanks so much for hosting. Just found this, would love to participate again this time! Not sure if it will be a knit blouse or TNT skirt! I have used Simplicity 2444 so many times that I think I could participate! Wahoo! I would love to do this! I am going to use Sew Caroline's Out and About Dress. This is perfect! I am excited about joining in. I will use the skirt from Vogue 1247. I wanna be take part of this fantastic Challenge with Chanel-like-jackets. I'm so excited. Anja from the north of germany. I'm doing a new look top (6483). Already have a few and will do a new one this week. OWOP 2014 - Sign Up Now!